Providing you the best range of usb cables, moerdon micro usb fast charging cable and type c cables fast charging usb cables with effective & timely delivery. If you have always wished of having a long lasting, advanced technology and super fast charging cable, then this premium quality Micro USB cable is the one especially for you. This high performance cable is capable of charging your phone or any other compatible gadget at home or any other place you want. It can easily fit in your pocket or purse and is ideal for traveling. The flexibility of the wire is very good with its flat style tangle-free design. It can effectively avoid any trouble and ensures that wire remains sturdy at both ends. It is made with the best quality rubber and high-quality copper wire that increases durability and maximizes signal quality. The stainless steel connector heads fit in easily and steadily, and won't get loose or fall out of your devices as compared to other normal micro cables. So, have this great all-around cable that can serve your devices with the best and excellent charging experience. 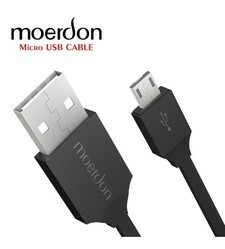 If you have always wished of having a long lasting, advanced technology and super fast charging cable, then this Moerdon premium quality Micro USB cable is the one especially for you. This high performance cable is capable of charging your phone or any other compatible gadget at home or any other place you want. It can easily fit in your pocket or purse and is ideal for traveling. The flexibility of the wire is very good with its flat style tangle-free design. It can effectively avoid any trouble and ensures that wire remains sturdy at both ends. It is made with the best quality rubber and high-quality copper wire that increases durability and maximizes signal quality. The stainless steel connector heads fit in easily and steadily, and won't get loose or fall out of your devices as compared to other normal micro cables. So, have this great all-around cable that can serve your devices with the best and excellent charging experience. 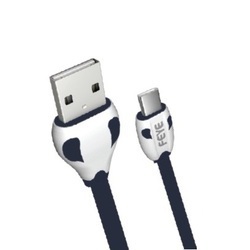 If you have always wished of having a long lasting, advanced technology and super fast charging cable, then this premium quality Type C USB cable is the one especially for you. This high performance cable is capable of charging your phone or any other compatible gadget at home or any other place you want. It can easily fit in your pocket or purse and is ideal for traveling. The flexibility of the wire is very good with its flat style tangle-free design. It can effectively avoid any trouble and ensures that wire remains sturdy at both ends. It is made with the best quality rubber and high-quality copper wire that increases durability and maximizes signal quality. The stainless steel connector heads fit in easily and steadily, and won't get loose or fall out of your devices as compared to other normal micro cables. So, have this great all-around cable that can serve your devices with the best and excellent charging experience.